As previously indicated, Dennistoun Community Council (DCC) has taken the opportunity to respond to the ‘Rail 2014’ public consultation. The response is largely driven by significant and widespread concern in relation to perceived intention to close Duke Street railway station, and consists of both the pro forma feedback form and a letter incorporating comments made at community council meetings and online. 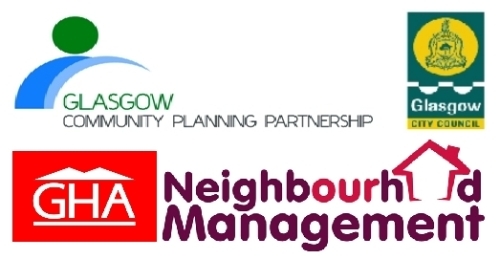 Neighbourood Management is a process where local communities and agencies, such as Glasgow City Council, the police, and local housing associations, work together to improve local public services by making decisions based on evidence and the views of the local people who live in the area. In Autumn/Winter 2010/11, the Glasgow Community Planning Partnership carried out a representative survey of almost 7,000 city residents to find out what they thought about their local area – this included 503 interviews in the East Centre ward. This report summarises what people in the East Centre ward area said about their local neighbourhood, what they liked about living there and what they’d like to improve. 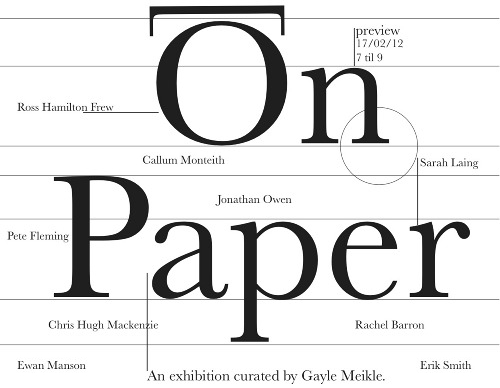 On Paper is a temporary exhibition which explores explores the materiality of paper and how nine different artists work with the medium.